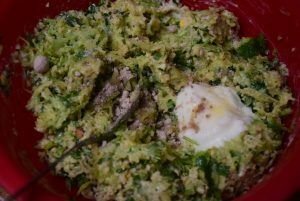 Koshimbir Salad (Cucumber / katchumbar raita) is a traditional Maharashtrian salad which not only tastes delectable but is also satiating like a meal. I first ate this in my friend’s home at Haldi -kumkum. I was so touched by this salad, that I recreated it again after a few days in my home with her recipe. 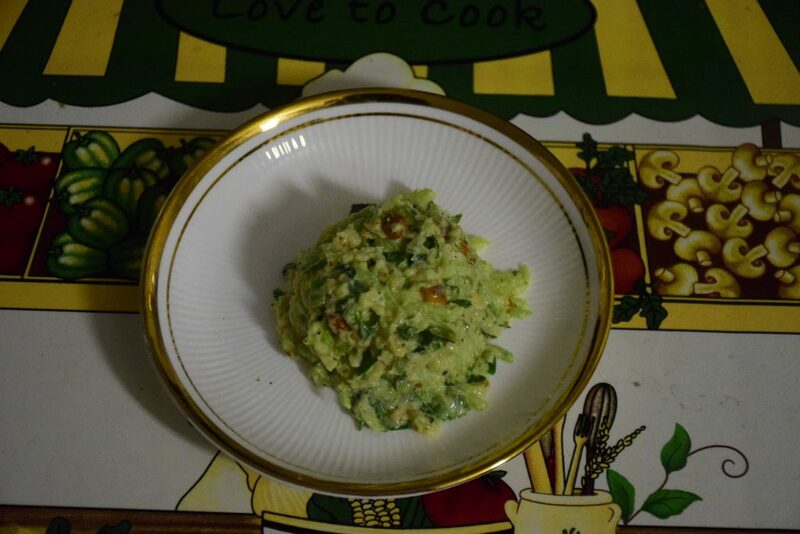 Thanks to Aruna for sharing her secret ancestral recipe. Since then, it became a ritual for months to make this salad for guests. I served this to people belonging to different cultures and states. Not a single person ever said that this salad isn’t delicious. One scoop has always opened the door for another. My daughter whose favorite is cucumber also devours it happily. So today I am sharing this recipe with you all. 1. Dry roast the peanuts in microwave for 1 minute in 20-20-20 secs intervals. Or you may dry roast them in a pan on the stove for 4 to 5 mins until they turn slightly brown. 2. 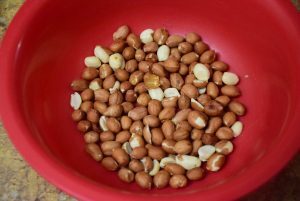 Remove the skins of peanuts in a cloth by rubbing the cloth vigorously after tying the loose ends. If you have raw peanuts without skin, you may use them and save a step in this process. 3. 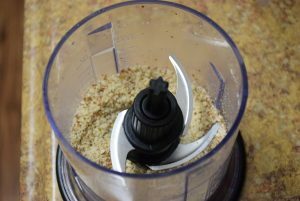 Grind them in a dry jar to a coarse powder as shown. 4. Now lets prepare a seasoning which is optional, but it definitely add that uniqueness and taste to the entire salad. For this , heat a little oil in a wok(kadha). 5. 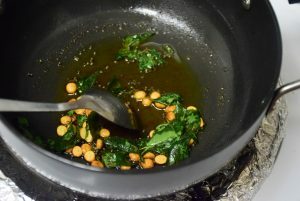 Add mustard seeds,hing and chana dal(split Dalia/roasted chickpea lentil) and turn them for a minute. Next add turmeric (haldi) and curry leaves (kadi patta) to it. 6. In a bowl , grate the cucumbers (persian/english/Indian/pickled) and squeeze out the water. Save this water for either kneading the dough or to be added in the end. Also add Ground peanut powder just prepared. 7. Now in the same bowl , add yogurt , rock salt, black pepper and dessicated coconut (if required). Mix all well. 8. 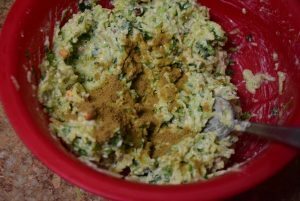 Finely chop the cilantro, roast the cumin powder and mix them in the mixture. Also add the seasoning just prepared and give it a stir. 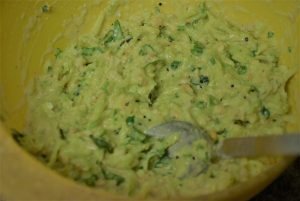 This Maharashtrian salad is usually served in this dry-type thick consistency, but if you like more yogurt you may add it and make a “raita” style salad too. This is my 3rd post for the Kid’s Delight event hosted by Sandhya themed on Summer Salads for the Blogging Marathon #BM-90 !! 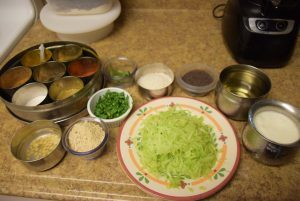 If you want to know more about it please check – Blogging Marathon ..
You may also like my other Salads here : Raw Preps !! 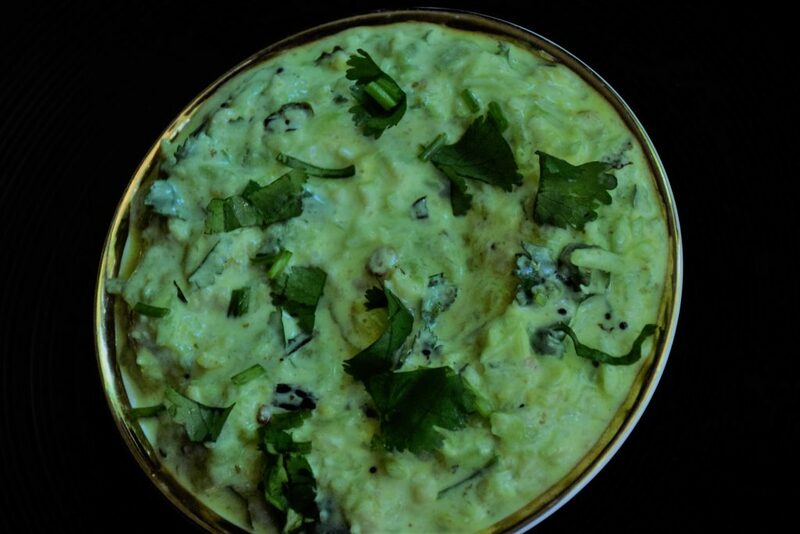 Koshimbir Salad (Cucumber / katchumbar raita) is a traditional Maharashtrian salad which not only tastes delectable but is also satiating like a meal. I first ate this in my friend's home at Haldi -kumkum. I was so touched by this salad, that I recreated it again after a few days in my home with her recipe. 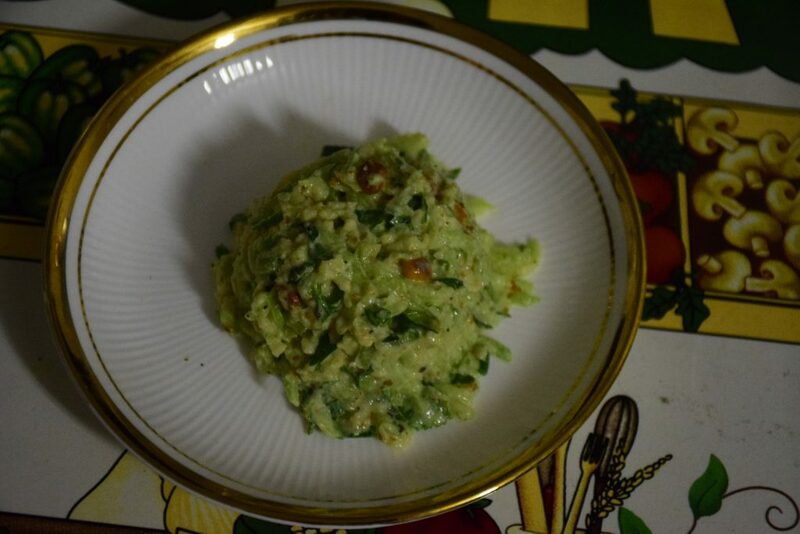 Thanks to Aruna for sharing her secret ancestral recipe. Dry roast the peanuts in microwave for 1 minute in 20-20-20 secs intervals. Or you may dry roast them in a pan on the stove for 4 to 5 mins until they turn slightly brown. Remove the skins of peanuts in a cloth by rubbing the cloth vigorously after tying the loose ends. If you have raw peanuts without skin, you may use them and save a step in this process. Grind them in a dry jar to a coarse powder as shown. Now lets prepare a seasoning which is optional, but it definitely add that uniqueness and taste to the entire salad. For this , heat a little oil in a wok(kadha). Add mustard seeds,hing and chana dal(split Dalia/roasted chickpea lentil) and turn them for a minute. Next add turmeric (haldi) and curry leaves (kadi patta) to it. In a bowl , grate the cucumbers (persian/english/Indian/pickled) and squeeze out the water. Save this water for either kneading the dough or to be added in the end. Now in the same bowl , add yogurt , rock salt, black pepper and dessicated coconut (if required). Mix all well. 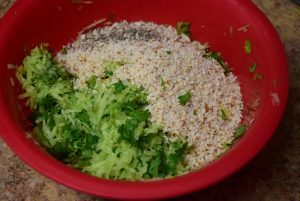 Finely chop the cilantro, roast the cumin powder and mix them in the mixture. Also add the seasoning just prepared and give it a stir. This entry was posted in Food, Raw preps, Recipes and tagged Aruna my friend, Blogging marathon, Carenshare, cilantro, coconut powder, coriander leaves, cucumber, curd, curry leaves, dahi, dessicated coconut, dhaniya, haldi, hara dhaniya, homemade yogurt, kadhi patta, koshimbir, Mahararashtra, Maharashtrian recipe, meetha neem, Mumbai, mustard seeds, oil, Pune style, rai, roasted chana dal, roasted chickpeas lentil, roasted peanut powder, shweta jindal, soaked chana dal, turmeric, zindagisikhati. This is one of our everyday recipes and is delicious as a side. We usually use cumin seed tadka for these salads. 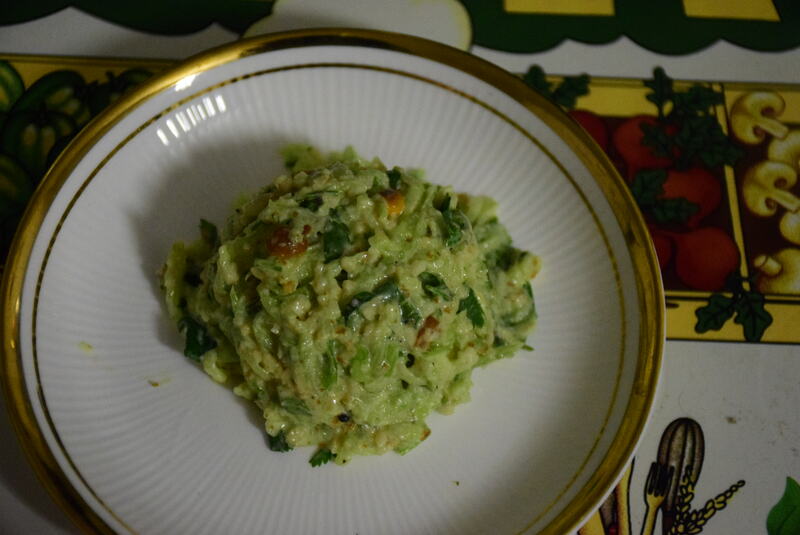 Oh this is surely different from the ways I have made this koshimbir salad, very interesting. I enjoyed all your salads..
Chana dal and yogurt in a salad is very unique…looks tasty. Got to try it! Interesting salad , must try this as salads , specially cucumber salads are my favourite . Thank you dear , 🙂 . Don’t forget to share your feedback with me, once you try it. 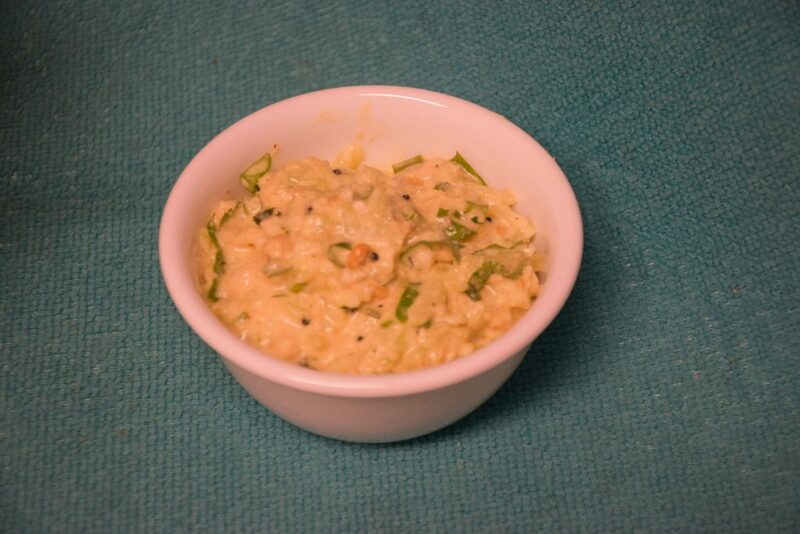 Interesting way to add peanuts to cucumber raitha. Thank you Ritu ji ! Let me know how does it taste ? Simply love these sort of everyday salads, wish i get a plate to have some rite now. Prefect salad for hot weather. The addition of peanuts takes the salad to a new level. It must taste amazing. Will try this for my daughter this weekend. Thank you Gayathri !! I am humbled by your compliments ! 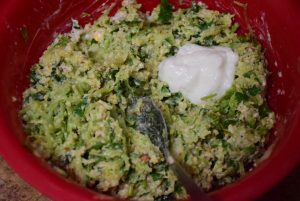 Such creamy and tasty kosimbir salad , I can finish it without any main course.